On our last day of new product reveals over at Neat and Tangled, I'm showing off my second set for this month: a 3x4 set called Bunny Slopes. This card shows off all of the images from the set. I created levels of snow with the dies, and then built a scene using the little gumdrop trees, the bunny, and the ski lift. I love the motion lines that are included in the set, that I stamped behind the bunny! To hang the ski lift, I used the line stamp from Santa's Wonderland and bent it to fit the curve that I wanted. I know you could just draw in the line, but my hands aren't that steady! To give the bunny's scarf, hat and mittens a little something extra, I used a black pen to draw a knitted texture. I love how that looks! 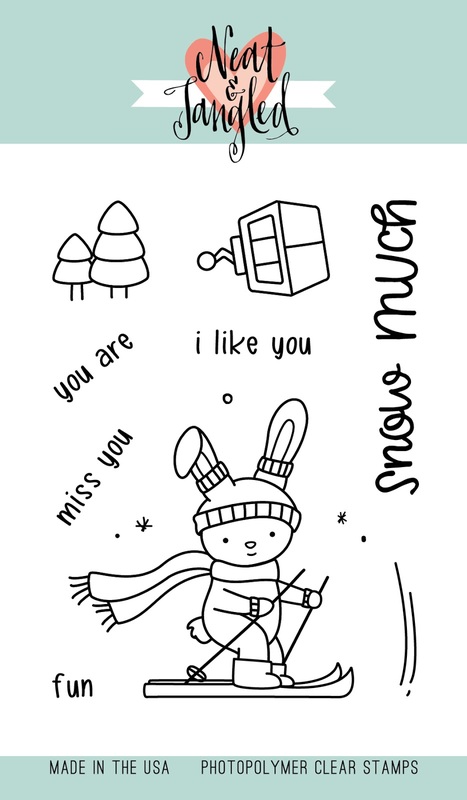 I hope you like my little skiing bunny. Don't forget to leave me a comment for a chance to win a 25$ gift card to the NT store and then hop over to the Neat and Tangled blog to see what the rest of the design team created using this set- CLICK! Eek! This is the one I’ve been waiting to see! 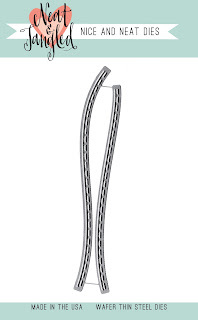 So adorable and love the ski lift! Great job once again! Oh my!!! It’s stinkin’ cute!!! Love your new products!!! this would make a cute action card. all day. Love the card. I can see the love that went into this adorable card!! This card is so cute! Great job using all of the images from this set and showing how adorable it is! Very cute skiing scene. I like the texture you added to the mittens, hat and scarf. Cute card. 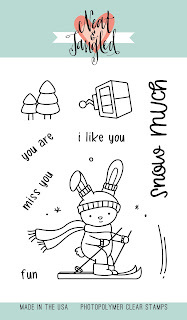 Love this bunny stamp..
Oh my ! How irresistibly cute is this bunny ! Such a cute bunny and love that die too. I love this one, he just pops against that gray snowy sky! So cute!!!! I love the bunny and gumdrop trees!! Great winter scene!! You always design the cutest characters! 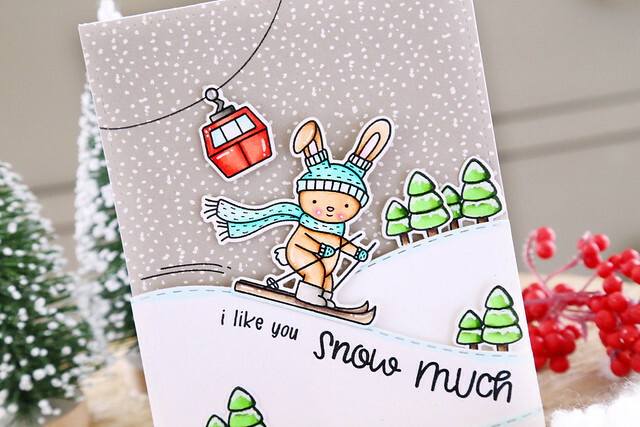 Love the skiing bunny on your beautiful card! Adorable winter scene! Love that bunny! Absolutely love the scene you created! Adorable!! Wonderful winter scene. That bunny is adorable. Super cute card. That bunny is adorable.